New York Jews are appalled at the latest in a series of hateful subway and bus ads paid for by an organization called American Freedom Defense Initiative. The ads seek to equate Islam with violence and anti-Semitism, and thus divert attention from the Israel-Arab conflict by claiming that Muslims attack Jews simply because of their religion. Last year, the Metropolitan Transit Authority refused to run the ads, saying that they posed a security risk. In October, AFDI sued the MTA for infringing on its First Amendment rights. Last week, Judge John G. Koeltl, of United States District Court in Manhattan, ruled that the ad qualified as protected speech and granted a preliminary injunction ordering the transportation authority to run the ad. He said the order would not take effect for 30 days so the agency could consider whether it would appeal the decision. True Torah Jews fears that the ads may deepen mistrust between Jews and Muslims and portray all Jews as supportive of the statements in the ads. 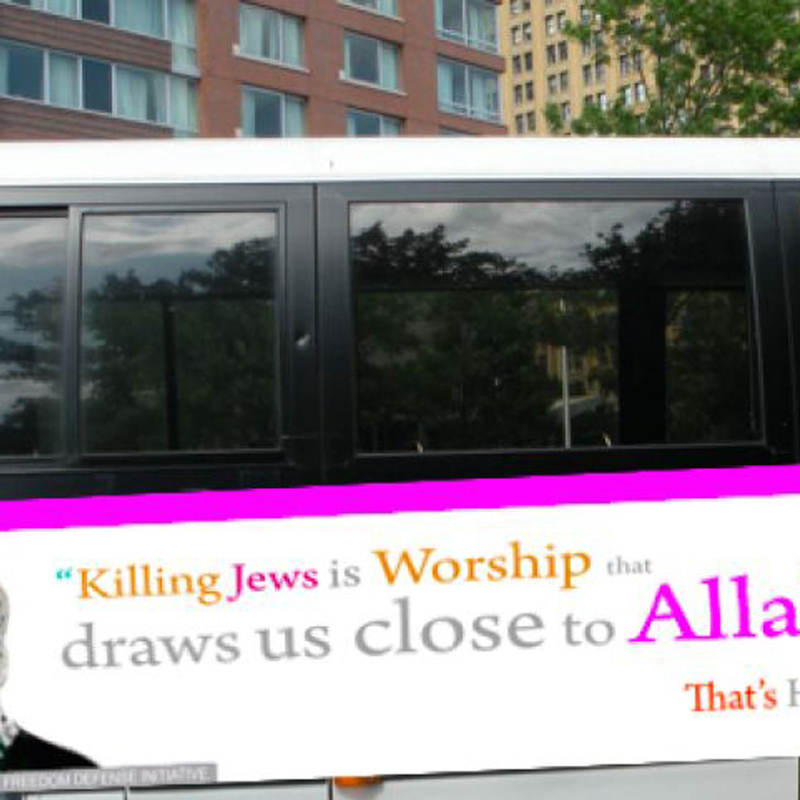 Therefore, we are currently working on an MTA ad of our own to counter the effects of AFDI's campaign. Of course, the pro-Israel group would not mind much if American Jews were endangered as a result of their campaign - it would only help them get more Jews to come to their state. Our ad will show Jews, Muslims and others standing together and the text will feature quotes from the Torah advocating peace, and say that Jews and other New Yorkers join in condemning hate speech. Update: We were delighted to hear that on Wednesday, April 29, the MTA voted to ban all political advertising on its subways and buses. The resolution passed by a vote of 9-2 at the MTA's board meeting after the finance committee approved it earlier in the week. The cash-strapped agency says such advertising only accounts for less than $1 million of its annual advertising revenue of $138 million. "Advertisements expressing viewpoint messages, regardless of the viewpoint being expressed, would no longer be accepted," the MTA's general counsel, Jerome Page, told the committee on Monday.